If you haven't read Rippler yet, I suggest you do so before reading this review of Chameleon, which is the sequel to Rippler. Each book builds upon the other, so it's important you read the series from the beginning. Chameleon picked up shortly after where Rippler left off. Sam's best friend is not speaking to her, Will is pretending the kiss never happened, and Helmann has decided he wants Sam alive now, instead of dead. She doesn't know which would be a worse fate. Sam thinks she'll be safe on her school trip to France, plus she'll get to finally meet Sir Walter. Someone is following her in France though. Someone who can ripple. It's rare that I like a sequel better than the first book, but such is the case with Chameleon. I love how the series keeps building upon itself with more journal entries from the past, plus everything happening in the plot's present. It really adds to the depth and believability of the story. There is so much going on that keeps you glued to the pages, but it's not an information overload. It's quite the opposite, you can't get enough. This series will have you so enamored, it'll be easy to "ripple" into Sam's world and all too willingly become a part of it. To read more about this series and Cidney Swanson, visit her website. You can also find her on Facebook and Twitter. Check out an exclusive interview with the author! 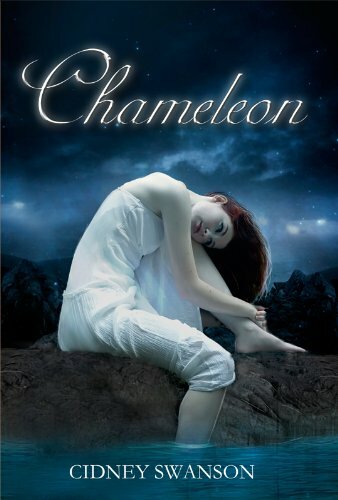 Chameleon by Cidney Swanson was sent to me from the author for review. The opinions are my own.